Thanks to all the brides who came out to see us at the wedding show this weekend! And thanks to Afzia (from Style & Elegance) who manned the booth while I slipped out to shoot Jeannine & Ed’s intimate wedding late Saturday afternooon! I am going to put my (tired) feet up for the rest of today. 1000 brides in 12 hours can take it’s toll! But what a fun & successful weekend! Hope the January show results can match this one! 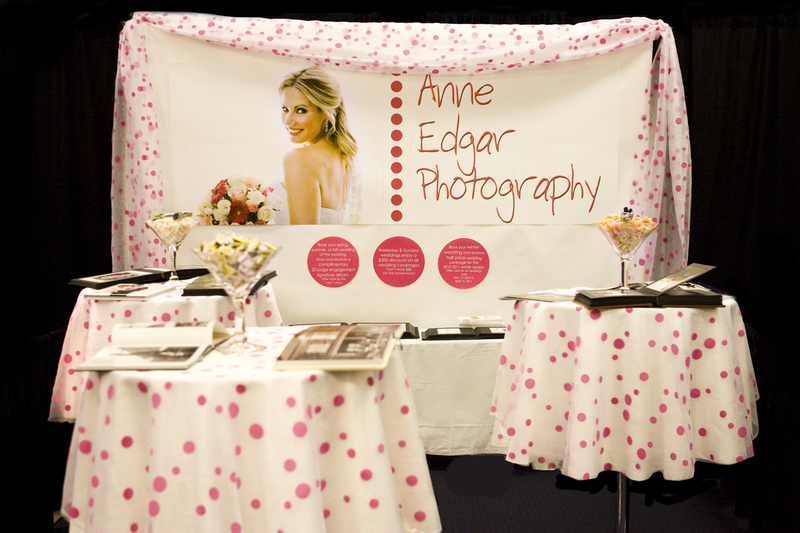 Your booth looked great Anne, and thank you so much for the candy – the girls love it! Hopefully you’re getting some much needed rest today.